The Countering Violent Extremism or CVE is a program created in Britain by the Muslim Brotherhood. CVE is a hostile information campaign and a double-agent program brought from Britain to the United States by FBI and DHS leadership approximately 10 years ago. 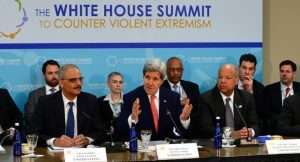 CVE’s purpose is to ensure Muslim Brotherhood leaders are exclusively used by the U.S. government as the liaison for all matters pertaining to Islam and terrorism so the MB controls the narrative in this war. 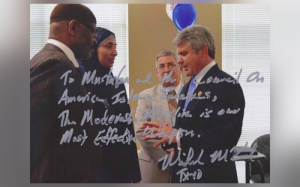 Mr. McCaul ensured funding for CVE and pushed to create the Office of Countering Violent Extremism at the Department of Homeland Security. We face an enemy that exclusively states they are Muslims waging jihad in the cause of Allah to establish and Islamic State (caliphate) under sharia (Islamic Law). 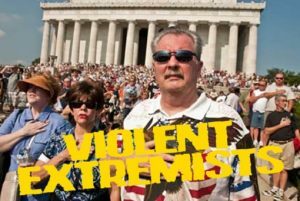 So long as our federal law enforcement and intelligence agencies chase “violent extremists” they will chase U.S. military veterans, white supremacists, and all other sorts of people – but not Muslims committing jihad. Exactly the intent of our enemy, and exactly the focus of DHS efforts. CVE is one of the major tools our enemy is using to get and keep our national security apparatus in such a state of strategic incoherence and Congressman McCaul is its biggest cheerleader. It is also instructive that Mike McCaul has demonstrated an inability to determine friend from foe when it comes to basic terrorist groups like Hamas. Calling the Council of American Islamic Relations (CAIR) a “moderate” Islamic organization even though evidence and facts reveal CAIR is Hamas, is dangerous and unprofessional when you are the Chairman of the Homeland Security Committee in the U.S. House of Representatives. When a leader like the Chairman of the Homeland Security Committee legitimizes a terrorist (Hamas leader) like Mustafa Carroll – leader of Hamas in Texas – that leader (McCaul) demonstrates his utter incompetence in this war. Thanks Congressman McCaul. We can add your name to the growing list of U.S. government officials batting for the other team – whether you understand it or not. I have been trying to figure out how to let President Trump know about you. Today the DHS runs immigration…it is run by Jews…Jews get well over %90+ of all DHS federal grant money every year…The legal arms of this invasion are the SPLC,and the ACLU…these communist groups are Jewish run..always have been./…Jews were and are the communists…there would be no Muslims in America if it were not for Jews…very simple.